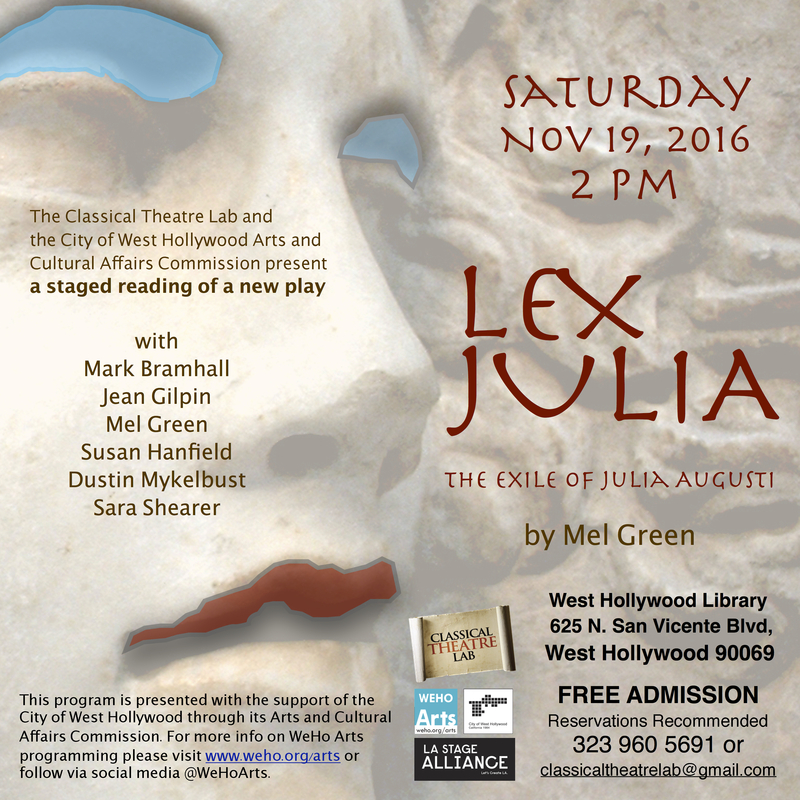 LEX JULIA – A Staged Reading of a New Play – Saturday Nov 19 at 2pm! Back by popular demand! If you missed our sold-out staged reading of LEX JULIA at The Lounge Theatre earlier this year, here is another opportunity to see it! Please stop by this Saturday, November 19th at 2pm. The play has changed some, the cast has changed some. It’s going to be terrific! Join us. This entry was posted in Actor, Press and tagged Classical Theatre Lab; Theatre; Lex Julia; City of West Hollywood Arts and Cultural Affairs, Staged Reading; New Play. Bookmark the permalink. ← Exciting night as a nominee at the 3rd Annual Voice Arts Award!